Jet card sales continue to do well despite the economic downturn. 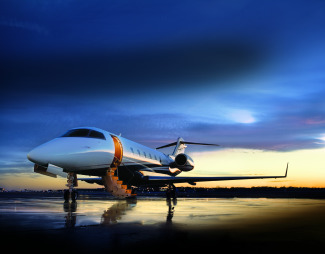 Used much like a debit card, jet cards provide travelers with a pre-set number of private jet flight hours. Such programs are designed for those who travel between 10 and 100+ hours in a calendar year. you can use it as much or a little as you want as there are no set usage requirements and usually there are no expiration dates. We spoke to several leaders in the industry to get their insight into this current trend. Velocity Jets, Avantair and Jet Solutions were gracious enough to share their recent experiences with us. We reached out to Marquis Jet as well, but they passed on the opportunity to be included in this article. Companies with flight departments have been eliminating their inventory of jets. 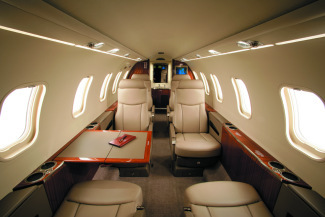 They turn to jet cards and charters because it's an easy short-term, cost-effective solution. Companies and individuals have come to appreciate the flexibility of the aircraft interchange option. For example, if you have two people that need to make a 2-hour flight, a light jet is ideal for the mission. If you have ten people that need to go cross country, a heavy jet would be the obvious choice. With the jet card you have the flexibility of utilizing the right jet for the mission every time. Companies and individuals looking for short-term solutions these days are buying into the jet card model until aircraft values stabilize. Patrick Harris continues to say that since Jet-A aviation fuel prices have dropped over the year, so have jet card prices, making it even more enticing to buy. He states: "Our hourly rates are based on the price of fuel so if the price drops, so do our hourly rates. Recently, we have noticed a rise in the cost of jet fuel again, this is a good time to buy a jet card and lock in those hourly rates while they are still low." For Velocity Jets, the most sought after card is within their customized jet card program, with the most popular size priced at 250K. "The Velocity Jet Card program is built from the ground up on a per client basis; everyone's needs are different, one size does not fit all in private aviation," states Harris. Many companies have been seeing a rise in the fractional aspect of aviation. Avantair's charter card sales turned quite a nice profit for them this year. In a recent press release, Steven Santo, Chief Executive Officer stated, "Business was strong during the third quarter, exceeding our internal expectations. The economic downturn has created compelling reasons for consumers of private travel to turn to Avantair." In the same report, it shows that Avantair's charter card program saw an 81% increase in sales during the third quarter alone. Jet Solutions has also benefited from this surprising trend. According to the company, the Flexjet 25 Jet Card program, operated by Jet Solutions, is quite popular and has experienced growth of nearly 30 percent in 2008 compared to 2007, despite significant drops in the market. In fact, in January 2009 the Flexjet 25 Jet Card program had a record-breaking month with more jet cards sold during that month than in the company's history. What's more, at a time when many are laying off staff, the Flexjet 25 program is about to expand its jet card sales team. For those seeking a solution or an alternative to private jet whole ownership, maybe now is the time to look into purchasing a jet card for your travel needs. However, be aware that every company has unique offerings and claims to be the best at what they do. To filter through all the hype you really need to do your own research to figure out which jet card is best for you. Please keep in mind that the lowest price might not be the best offer. With several quality companies to choose from one really must ask the right questions. For some great tips refer to the article, Questions to Ask Your Jet Card Provider.